"Demands its place in front of our eyes and compels our engagement and action." The official UK trailer has debuted online for an award-winning documentary called Fire at Sea, examining the migrant crisis in Italy as seen through the eyes of a 12-year-old local boy living on the island of Lampedusa. This doc won the Golden Bear at the Berlin Film Festival, the top prize, winning over a handful of other feature films. There's definitely a political side to that win, but it also looks like a fantastic doc which rave reviews throughout the fest. 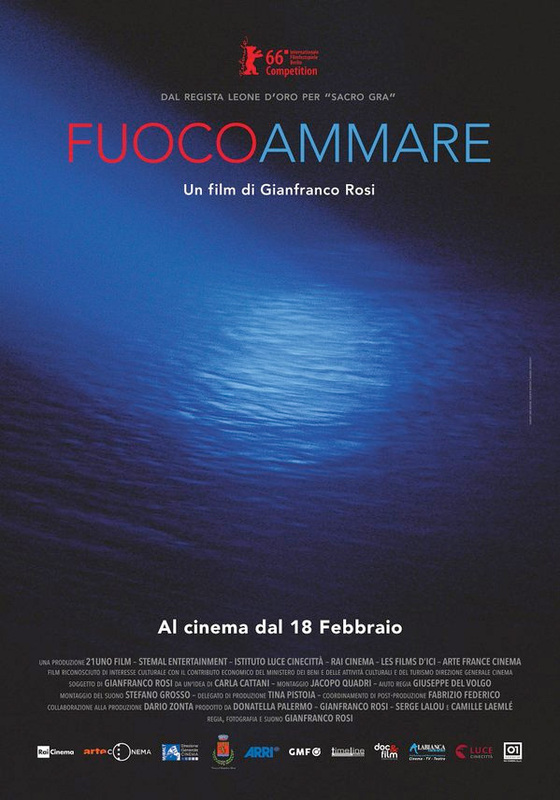 Written and directed by Gianfranco Rosi, the film follows a boy named Samuele, while examining the cultural impact of a small town on an island where thousands of migrants land on the shores every week. Samuele goes to school, loves shooting his slingshot and going hunting. He likes land games, even though everything around him speaks of the sea and the men, women and children who try to cross it to get to his island. But his is not an island like the others, its name is Lampedusa and it is the most symbolic border of Europe, crossed by thousands of migrants in the last 20 years in search of freedom… Situated some 200km off Italy's southern coast, Lampedusa has hit world headlines in recent years as the first port of call for hundreds of thousands of African and Middle Eastern migrants hoping to make a new life in Europe. Rosi spent months living on the Mediterranean island, capturing its history, culture and the current everyday reality of its 6,000-strong local population as hundreds of migrants land on its shores on a weekly basis. Fire at Sea is directed by Italian filmmaker Gianfranco Rosi, of Sacro GRA, Below Sea Level, El Sicario previously. The doc first premiered at the Berlin Film Festival, where it won the Golden Bear. Fire at Sea opens in UK theaters + on VOD starting June 10th, and will be released in the US by Kino Lorber this fall. Anyone who thinks, "all men are created equal" needs to see this film. You could have said this movie was about 10 different things and I would have believed you. The trailer shows NOTHING. Epic fail as a marketing tool. I see no reason to watch it. Looks like something I would put on my TV when I have guests over so that there's pretty imagery in the background. "Look at the beautiful coastal footage"